Run a quick Google search right now for “retail 2017,” and you’ll undoubtedly be hit with a flood of articles about the drastic, often grimly portrayed shifts we’ve seen in the industry’s sales figures, technology, and competitive landscape over the past 12 or 18 months. You will also find quite a few articles on topics like “how to survive against Amazon” or “how to adapt your business for 2017 and beyond.” We ourselves have written multiple such pieces on the RevCascade Blog in an effort to educate folks on how dropshipping works and what opportunities it affords in today’s unpredictable retail landscape. However, it’s important to bear in mind that there’s no such thing as a one-size-fits-all solution. Dropshipping, just like all the other solutions you may be reading about online, is naturally a better option for some retailers than it is for others. 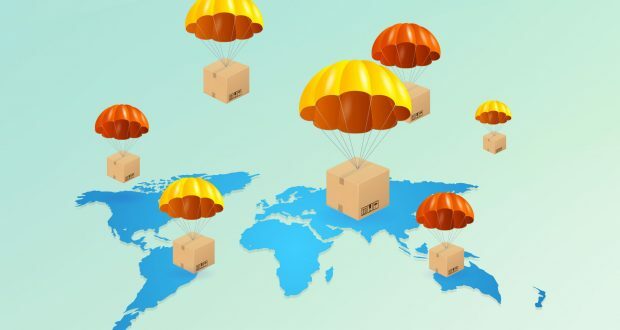 So, who stands to benefit the most from launching a dropship program? Let’s take a look at some of the most common types of dropshipping retailers and why they may choose to pursue this ecommerce strategy. Believe it or not, traditional retailers, those whose businesses are heavily based on brick-and-mortar, are some of the most common adopters of dropshipping. Companies like Crate & Barrel, which runs its dropship program with RevCascade’s platform, have wisely taken note of recent trends in the retail industry and invested their resources where the most growth is being seen: online. That’s certainly not to say that they’re totally abandoning their physical shops, but at the very least they’ve embraced the idea that online growth is an imperative factor in overall success. For most of these traditional retailers, dropship programs are the most logical method to boost their online sales. Often referred to as “extended aisles,” dropship programs are an effective way for retailers to increase their volume with existing brands, sell new products and expand product assortment with new vendors, or foray into entirely new verticals. Because dropshipping doesn’t require retailers to take on any inventory, their merchandising options are virtually unlimited and their overhead is nearly nonexistent, especially when compared to a traditional wholesale or ship-from-store model. For discerning retailers, this means they can experiment with new product lines and curate the perfect product mix. While some ecommerce retailers do use a wholesale model in which they hold and ship items themselves, most of the high-performing online shopping sites like Farfetch, Wayfair, and Amazon are built around dropshipping. Just like the traditional retailers mentioned earlier, these ecommerce-focused retailers enjoy dropshipping’s low-overhead nature and remarkable ease of product expansion. Thanks to dropshipping, many successful ecommerce companies can easily operate right out of a small office without spending any capital on upfront costs like warehouses or store space. Maisonette, another RevCascade client, is a perfect example of how dropshipping can afford ecommerce retailers remarkable flexibility with respect to expansion. Run out of a single office in DUMBO, Brooklyn, the high-end ecommerce marketplace for kids’ clothing is not even a year old, but already it boasts hundreds of brands and thousands of SKUs, and has been praised in publications like The Wall Street Journal and Vogue for its ingenuity and impressive product assortment. As we discussed in a recent blog post, the success of the dropship model is closely associated with Amazon, which sees over 60 percent of its total retail sales come from its 3rd-party marketplace, where it carries zero inventory from 2 million-plus vendors. Other ecommerce retailers—Maisonette included—are mimicking that strategy, enjoying the minimal overhead costs and risks while rapidly scaling their online sales. For big box retailers like Walmart, Target, and Kohl’s, dropshipping is an essential part of their online business. The sheer size and quantity of their stores and warehouses have helped big box retailers remain competitive for decades now, so ship-from-store, ship-from-warehouse, and BOPIS (buy-online-pickup-in-store) are certainly feasible fulfillment options for ecommerce purchases. However, to keep pace with the meteoric rise of Amazon­– “the everything store” –they’ve recognized a need to offer an even more diverse array of products through their own online marketplaces, which, like Amazon’s marketplace, are operated via dropshipping. It may seem unfathomable that a retailer like Walmart would need to launch a dropship marketplace to compete with Amazon. After all, when taking into account Walmart Supercenters, Discount Stores, Neighborhood Markets, Sam’s Clubs, and other Walmart storefronts, the company has a jaw-dropping 1,159,169,900 square feet of physical space to its name; that’s almost double the land area of Manhattan. But the scalability and SKU capacity afforded by dropship marketplaces simply cannot be overstated. The marketplace on Walmart.com has gone from 0 to 67 MILLION items in just seven years—more volume at a far faster growth rate than anyone’s brick-and-mortar presence, even Walmart’s, could possibly handle. While 67 million is still far short of Amazon’s 370 million SKUs, Walmart is at least remaining competitive as a big box retailer thanks in large part to dropshipping. Retail today is an undeniably competitive industry. For almost any retailer, however, whether they specialize in a specific vertical like apparel, furniture, or jewelry, or are a general merchandise giant like Walmart, dropshipping is an effective way to gain a competitive edge and build revenue. As President & CEO of Walmart U.S. Greg Foran put it, “It’s the objective of every retailer to grow their inventory slower than sales.” Dropshipping is the perfect formula to accomplish exactly that.